The search result depends upon the search term example. Simple term: Display the result; show the preview in hover cards. There is a option to open document view and edit the item directly. Hover card also display the result directly. People: People vertical not only display the people information. If you enter the text in people it will display the name of the person written the same text. Conversation: it displays the conversation going on or some on mentioned about something that matched by will display on the result page. Videos: Display all the list of videos at the same time you will play the videos. To Play the document not required any active x control, it runs on HTML 5. Alert me: Sends alert with this specific search key words via email. You received email Daily or weekly. Just need to specify type of alert you want to received. Preference: Similar to Google, you can save you preference like language, alert option also search history, Opening Documents in the Browser etc. Search with in document libraries: In large document library, it is difficult to search the specific document within the large library. 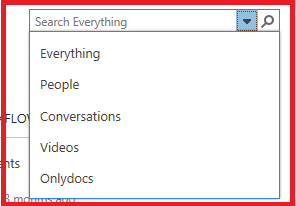 So in SharePoint 2010 to search document either we create custom view, or filter library items ascending or descending order to get the exact result. 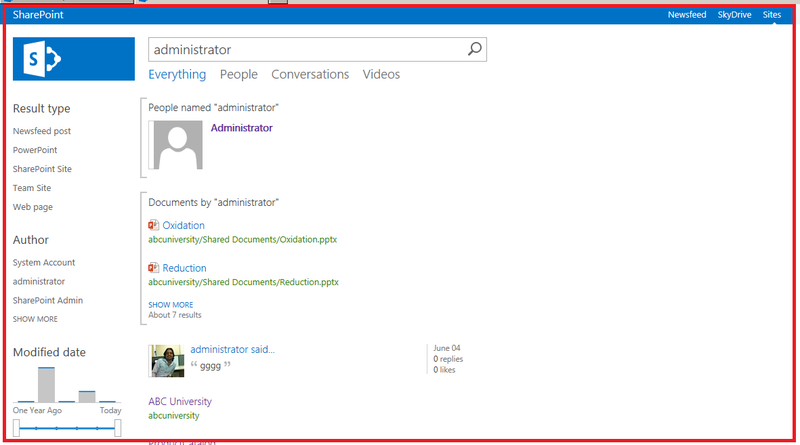 In SharePoint 2013, Microsoft added a new feature that allows the user to search the document within a document library. Query builder: In search center you will find the query builder many places. That help you to create the query and check the result on the fly. You will find the query builder at following locations. Federation Location: We are using federation location to get the external indexed result in the form of RSS (ATOM feed). 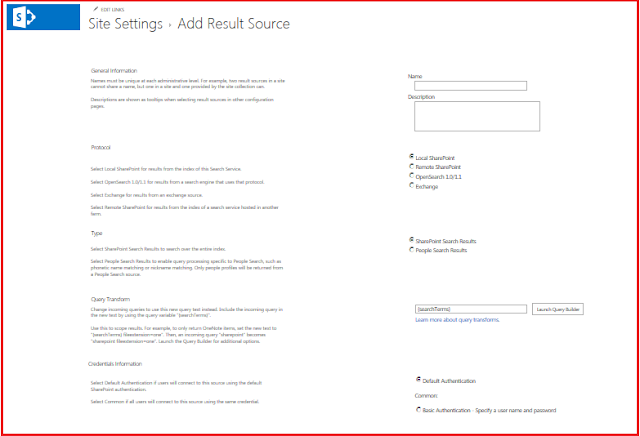 In SharePoint 2010 to configure the custom federation location we need it to navigate to the CA click to the federation location. This is only available at the Application level.SharePoint 2013 this issue has been removed a now federation location is the part of result source. Check the below image in protocol section there is option button for "OpenSearch 1.0/1.1". Contextual Search: So there is no more search drop down in 2010. 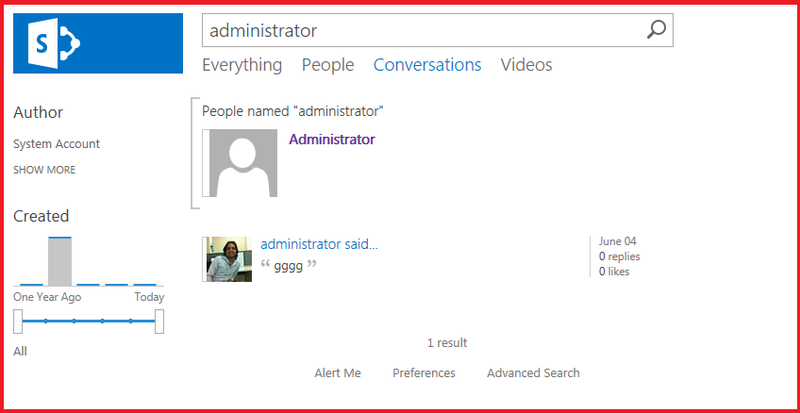 In 2013 result source displayed at other places, below image is the SharePoint 2013 contextual search box. Content enrichment web service: This is used for entity extraction. This new service replacement to FAST search document processing pipeline/Processing pipeline extensibility. For that you need to create the custom web service, the custom web service contains the custom code. 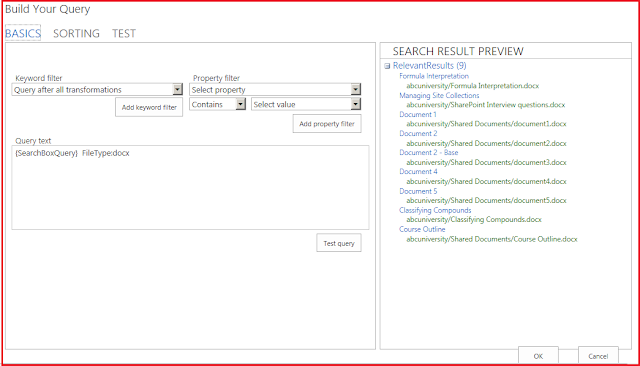 The code used is customized the manage property during indexed. It is very powerful for extensibility.